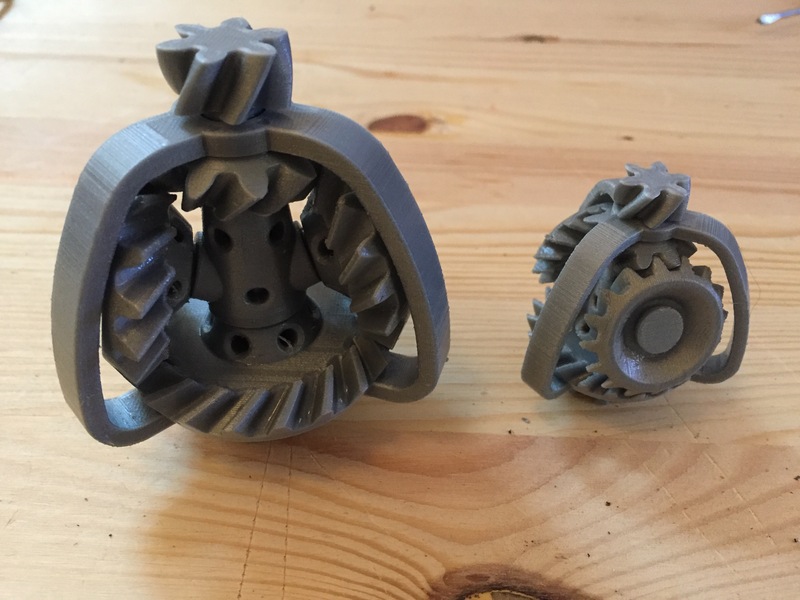 3d Print of Epicyclic Bevel Gear Reducer by Kurt Jacobson using the Ultimaker 3 using PVA supports. 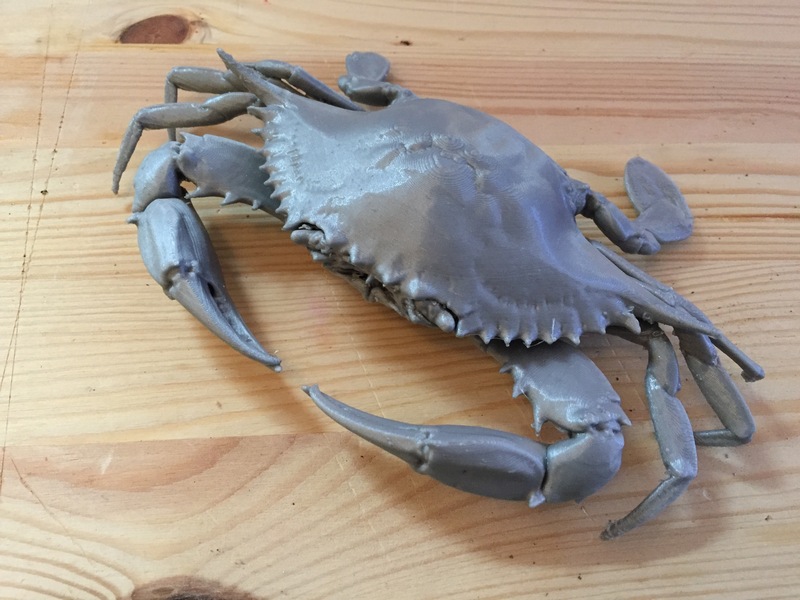 We wanted to try if the Ultimaker 3 could print such a complex anatomical model of a Blue Crab which we got from the smithsonian digital gallery. This High Res Scan was very detailed and had alot of nooks and crannies which would made it impossible to remove the supports. BUT we were running out of PVA filament. So at the same time we used CURA to save on PVA filament by selecting the supports to be printed with PLA and the Interfaces to printed in PVA. PVA being so expensive, this makes for an excellent cost saver, using only very little PVA to ensure easy removal and best surface finish.